Digital Art Week takes place from April 28th to May 2nd. This is the 4th year of this project which gives primary school pupils around Ireland the opportunity to share their digital art with other pupils around the country and complete some fun visual arts activities. 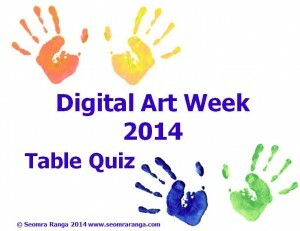 To celebrate Digital Art Week, I’ve put together a visual arts-based table quiz for schools.